C represents energy. C is the third letter of English Alphabet. People who have their names starting from Alphabet "C" have more strength and potency. Such people are least interested in physical work. numerology says People with Alphabet "C" as first letter of their name socialize more and hence are recommended to set ideal goals and stay focused on their goals. Such people have special power with words and are also very creative. C is good-humored, extravagant and dexterous. 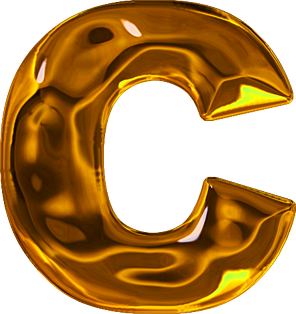 The C is a natural talker, a born orator, with an intuitive and creative talent for eloquence. The C loves to be the organizer, and can be quite impulsive. A negative C can be shameless, negligent, careless and unscrupulous.